Rebecca L. Springer: Labor & Employment/Regulatory & Policy Lawyer: Washington, D.C.
Rebecca Springer joined Crowell & Moring in 1999 and currently serves as partner in the Labor & Employment Group. Her practice focuses on labor and employment litigation and counseling, particularly in the area of Office of Federal Contract Compliance Programs (OFCCP) compliance. Rebecca has extensive experience conducting audits of personnel practices, preparing Affirmative Action Plans, and counseling clients on affirmative action issues. She also has experience conducting statistical analyses of compensation and other personnel practices for purposes of class action litigation, OFCCP compliance audits, and employer self-audits, and frequently teams with labor economists to analyze compensation and advise clients on potential risks and proactive measures to address compensation disparities. Rebecca has worked extensively on single-plaintiff, multi-plaintiff and class action labor and employment litigation involving allegations of race discrimination, FMLA and disability discrimination, sexual harassment, protection of trade secrets, and traditional labor law issues. She has significant experience counseling employers on reductions-in-force and restructuring. Rebecca also regularly counsels clients on the “alphabet soup” of employment-related laws including the Family and Medical Leave Act (FMLA), the Americans with Disabilities Act (ADA), Age Discrimination in Employment Act (ADEA), Title VII, and the Uniformed Services Employment and Reemployment Rights Act (USERRA). Rebecca has conducted numerous investigations of harassment, discrimination, and retaliation complaints. She has extensive experience conducting interviews, drafting investigation reports, and providing strategic advice to clients on the many issues that arise throughout an investigation. As a member of the firm’s Education Practice, Rebecca has significant experience investigating and providing advice on sexual assault, harassment, and discrimination claims in the education context. She is also experienced in counseling universities on Title IX compliance issues and conducting investigations of Title IX complaints. Rebecca graduated from Duke University School of Law where she received the Duke Law Advocacy Award for excellence in oral advocacy. Prior to attending law school Rebecca worked in the White House as the assistant to the counselor to the president and then at U.S. News & World Report as the special assistant to the editor-at-large. She is a member of the Virginia and District of Columbia bars. 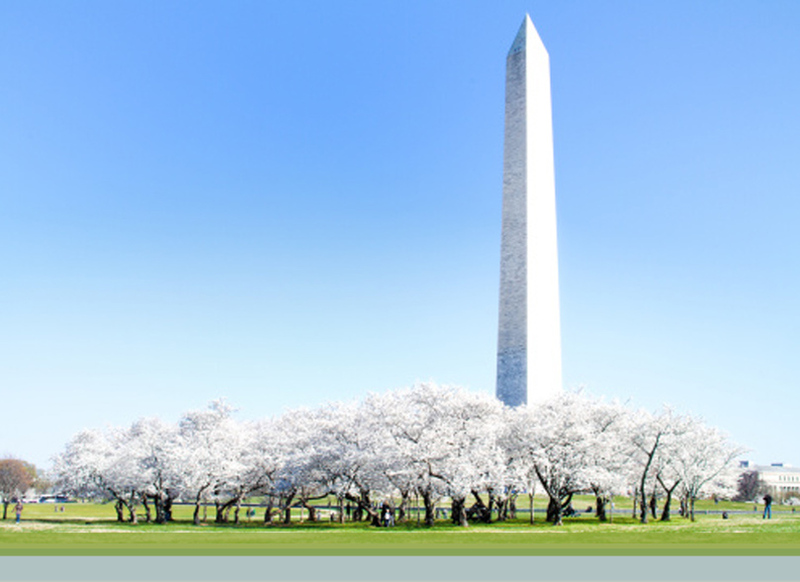 "Labor and Employment Update," OOPS 2017, Crowell & Moring's 33rd Annual Ounce of Prevention Seminar, Washington, D.C. (May 5, 2017). Presenters: Kris D. Meade, Trina Fairley Barlow, and Rebecca L. Springer. "'Oh, and Do This, Too' – Executive Actions Impose Ever-Expanding Labor-Related Burdens on Contractors," OOPS 2016, Crowell & Moring's 32nd Annual Ounce of Prevention Seminar, Washington, D.C. (May 25-26, 2016). Moderator: Kris D. Meade; Panelists: Trina Fairley Barlow, and Rebecca L. Springer. "Procurement as Policy: Minimum Wage, Paid Leave, Anti-Trafficking, Equal Employment Opportunity Executive Orders," Labor, Immigration & Employee Benefits Division, U.S. Chamber of Commerce, Washington, D.C. (October 28, 2015). Presenter: Rebecca L. Springer. "Title II, Title VII, Title IX, Clery Act: Practical Advice on What to Expect and How to Navigate Investigations and Audits When OCR, EEOC or OFCCP Come Calling," NACUA CLE Workshop - Higher Education Employment Law 2015, New Orleans, LA (March 11-13, 2015). Panelist: Rebecca L. Springer. "Third Thursday--C&M's February Labor & Employment Update: OFCCP Launches New Enforcement Initiatives," Webinar (February 19, 2015). Presenters: Thomas P. Gies, Rebecca L. Springer, Kris D. Meade, and Trina Fairley Barlow. "What Will the New Year Bring: Labor Obligations," Crowell & Moring Webinar (January 7, 2015). Presenters: Kris D. Meade and Rebecca L. Springer. "Third Thursday - C&M's May Labor & Employment Update: Affirmitave Action and OFCCP Enforcement," Webinar (May 22, 2014). Presenters: Thomas P. Gies, Kris D. Meade, and Rebecca L. Springer. "What Will the New Year Bring: OFCCP," Crowell & Moring Webinar (January 9, 2014). Presenter: Rebecca L. Springer. "Key Employment and Labor Law Issues Facing Government Contractors," WMACCA Employment and Labor and Government Contractors Forum (December 3, 2013). Presenters: Christopher Calsyn, Peter Eyre, Kris D. Meade, and Rebecca L. Springer. "Third Thursday--C&M's September Labor & Employment Update: Obligations under VEVRAA and Section 503 of the Rehabilitation Act," Webinar (September 19, 2013). Presenters: Kris D. Meade, Ira M. Saxe, and Rebecca L. Springer. "Sequestration and Its Impact On Colleges and Universities," Crowell & Moring Webinar (May 29, 2013). Presenters: Peter Eyre, Angela B. Styles, Stephan Rice, and Rebecca L. Springer. "The Unprecedented Year and the Consequences of Austerity," OOPS 2013, Crowell & Moring's 29th Annual Ounce of Prevention Seminar, Washington, D.C. (May 15-16, 2013). Moderator: W. Stanfield Johnson; Presenters: Thomas P. Gies, Mike Gill, J. Chris Haile, Barry Rhoads (Cassidy & Associates), Stephan Rice, and Rebecca L. Springer. "What New Whistleblower Protection Laws Mean For Your Company," SCCE Webinar (April 17, 2013). Presenters: Peter Eyre, Christopher Calsyn, and Rebecca L. Springer. "What the FY13 NDAA's New Whistleblower Protections Mean for Government Contractors," Crowell & Moring Webinar (February 27, 2013). Presenters: Andy Liu, Peter Eyre, Rebecca L. Springer, and Jason C. Lynch. "Fasten your seatbelts: A Review of Key OFCCP Initiatives and Enforcement Priorities as Take-Off Approaches," Crowell & Moring Webinar (October 6, 2011). Presenters: Cathy Kunz, Kris Meade, Ira Saxe, Jonathan Moskowitz, Rebecca Springer, and Jane Foster. "Federal Contract Terminations: Preparing for the New Era of Budget Cuts," Crowell & Moring Webinar (September 21, 2011). Co-Presenters: Terry Albertson, John McCarthy, Linda Bruggeman, Chris Haile, Rebecca Springer and Richard Arnholt. "Remedies for Your Sleepless Nights: Practical Solutions to Today’s Complex Labor & Employment Issues," Crowell & Moring Webinar (March 16, 2011). Presenters: Christopher Calsyn, Rebecca Springer, Andrew Bagley, Glenn Grant, Jonathan Moskowitz, Joel Wood, Jane Foster, Arash Jahanian, and Trina McAlister. "Labor & Employment – Repeals and Rollbacks are Likely," Crowell & Moring's Regulatory Forecast 2017 (May 2017). "Traps for the Unwary: LM-10 Reporting Requirements," ACC Docket (March 2007). Co-Authors: Kris D. Meade, Rebecca L. Springer and Laura H. Huggett. "Fed Cracking Down on Discrimination by Federal Contractors"